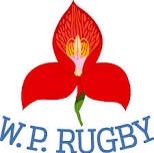 Prop Oli Kebble and lock JD Schickerling will both start for DHL Western Province in the SuperSport Rugby Challenge Final against Tafel Lager Griquas at Florida Park in Ravensmead on Sunday. 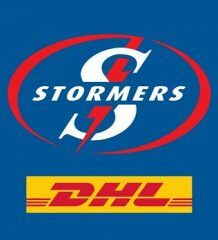 DHL Western Province will be looking to continue their unbeaten run this season in the final, which kicks off at 14h30 and will be televised live on SuperSport Four and SuperSport 10. Entrance to Florida Park on Sunday is free, with tickets available at the gate. There will be a curtain-raiser between hosts Tygerberg RFC and their rivals Belhar RFC at 12h00, with live performances from AKA and The Voice winner Craig Lucas as well. Kebble will start in the front row alongside Chad Solomon and Michael Kumbirai, while Schickerling forms a lock pairing with Jurie van Vuuren. A fit-again Eital Bredenkamp will captain the side on the flank with Johan du Toit and Jaco Coetzee rounding off the loose trio and Luke Stringer providing cover on the replacements bench. In the backline Godlen Masimla and Kurt Coleman continue their halfback partnership, with Brandon Thomson at inside centre and Michal Hazner outside him. Fullback Craig Barry and wing Marcello Sampson are joined at the back by Bjorn Basson, with SA Sevens star Ryan Oosthuizen among the replacements. DHL Western Province coach John Dobson said that his team are looking forward to what should be a special occasion. “We are very excited to be playing in a home final in front of our passionate supporters. “The players have worked hard and will hopefully do the jersey proud on Sunday,” he said. 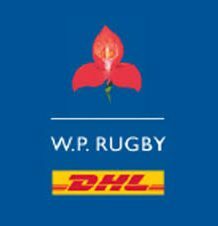 DHL Western Province: 15 Craig Barry, 14 Marcello Sampson, 13 Michal Haznar, 12 Brandon Thomson, 11 Bjorn Basson, 10 Kurt Coleman, 9 Godlen Masimla, 8 Jaco Coetzee, 7 Johan du Toit, 6 Eital Bredenkamp (captain), 5 JD Schickerling, 4 Jurie van Vuuren, 3 Michael Kumbirai, 2 Chad Solomon, 1 Oli Kebble. Replacements: 16 Dean Muir, 17 Ash Wells, 18 Eduard Zandberg, 19 Luke Stringer, 20 Herschel Jantjies, 21 Ryan Oosthuizen, 22 Grant Hermanus.